A group tour typically takes 1.5 hours for the guided part of the tour, depending on the size of the group. You should allow extra time for playtime and for lunchtime. We try to schedule groups so that you have ample opportunity to play and enjoy the picnic are. Depending on the time of your tour, your playtime and/or lunchtime might occur before your tour. That can be discussed at the time we schedule your tour. Grind wheat for the bun, gather ketchup, mustard, mayo, and pickle ingredients, make potato chips from a freshly dug potato, find s’mores in the garden and so much more. To schedule a group tour call 270-269-2434 or email us at christianwayfarm@gmail.com. Our 2019 Spring Group Tours will focus on growing a cookout! 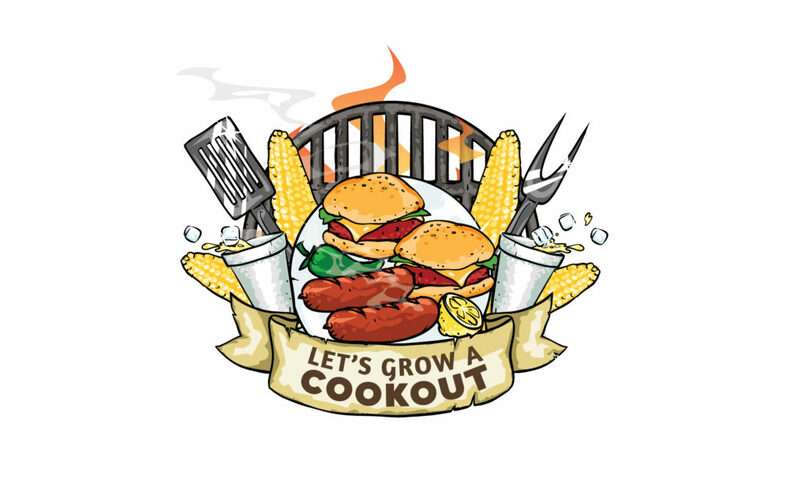 Visit Let’s Grow A Cookout for full information about our 2019 Spring group tours, perfect for field trips or merit days for all ages and all group types. View Group Rates to learn more about pricing. We will talk about the history of our theme food and the ingredients that farmers grow for that food. As part of the story we look for lessons in the garden that encourage us to make positive choices in our lives. These are scenes from when we grew taco ingredients on the farm. We will take you into the garden and let you help us plant seeds or plants according to the garden schedule. We will go to the garden and either plant a late crop or we begin harvesting the crops planted by our earlier visitors. Travel around the farm as we visit farm animals at another barn. Help feed and pet the animals. We will provide grain for the animals to eat and often times a bottle to feed to a baby calf. Also, don’t forget to come and see our new additions. We will help each person plant seeds (usually pumpkin or sunflower seeds) in a small container to grow in their backyard. Picnic areas are available for your use. Visitors may bring their own food or purchase food from the Christian Way Cafe. Sodas, bottled water, lemonade and snack food are available for purchase. No trip to the farm is complete without playtime—corn trucks, lawnmower train, hay castle (fall only), tricycle track, giant Jenga and giant Scrabble, Gaga ball, playground and plenty of open space for free play. The corn truck will be available for children to play in like a giant sandbox. We encourage removing shoes as one step into the corn box and shoes are full of corn! There are ample areas for playing ball or other games teachers may want to do to encourage expending energy! We keep a supply of balls available for our visitors’ use. The tricycle track will be available as well as a small swing set for our youngest visitors.